Australian Missionary Tidings (AMT) operates a Christian ministry for and on behalf of the churches of Christian Brethren in Australia. 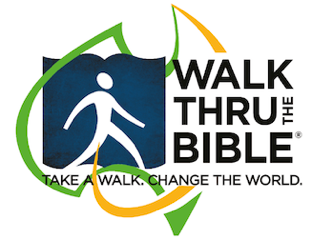 AMT focuses upon the Christian world mission including evangelisation, church planting, Christian education and aid. Better Boards connects great ideas and great people in order to transform non-profit organisations. Stronger leaders and leadership teams create a stronger sector. BunchOKids is a great resource for children to explore and have fun with. To learn more click here! ChildSafe Limited exists to serve organisations working with children and young people, with the goal of improved child safety. The funds we receive from our resources and web system are applied solely to this goal. CBT Christian Brethren Trust holds land and buildings in Victoria for the use of successive generations who worship God according to the general beliefs of the Open Brethren. CPN Childrens Playgroup Network believes that Christian Playgroups can be a significant vehicle for ministry both to children and to parents/carers. Christian Youth Camps Ltd (CYC) is a christian based facility & program provider for the group accommodation sector of the hospitality industry. Whether hosting a large family reunion, corporate conference,or educational retreat. Elvanto is an online church management system that gives you back the power with your church database. It’s easy to use and jam-packed with powerful features. Formstack provides a simple, intuitive form-building platform that allows you to create branded, optimized forms with ease. No coding headaches included! Highrise is a customer relationship management [CRM] system that enables all staff to keep in touch with whats going on in your church. 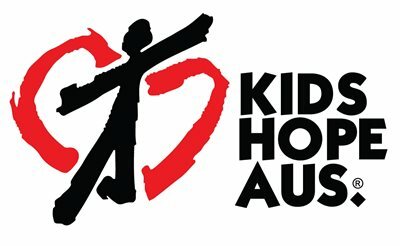 KIDS HOPE AUS is a life changing program that provides Churches with an opportunity to impact and serve their local community through a partnership with a local Primary School. LastPass The last password you will ever need - LastPass captures all you username and passwords in one application enabling you to automatcially connect to your sites. Mailchimp is an an easy to use email marketing tool, which by June 2014 was sending over 10 billion emails per month on behalf of its users. mainly music is a fun music group for parents or primary care givers to enjoy together with their young child, while also providing a bridge of connection and care. Mission Travel have expert travel agents, supporting you before, during and after your travel, caring about how you travel, and giving back a portion of our profits into mission work. Mothers of Preschoolers [MOPS] every mum is welcomed, accepted and challenged to reach her potential and recognise her influence with her family and her world. PeaceWise believe that biblical peacemaking is the most hope-filled, practical and profound approach to dealing with conflict available to people, and it is the sharing and equipping people to use these principles that is at the heart of what we are about. Survey Monkey create and send surveys with ease. A simple poll? In-depth market research? We’ve got you covered. Create any type of survey—from simple to sophisticated—with our powerful and easy-to-use survey builder. Urban Seed’s work is incarnational – meaning that small groups of Urban Seed Residents eat, sleep and play within the contexts that they work. Wondergate Films is a brand new initiative of Campus Crusade for Christ Australia – formed with the purpose of expressing Jesus powerfully through film.